Lo, C.H. and Wang Lee, C. (1981) Marble enclave in the Chipan granitic gneiss, Hualien, Eastern Taiwan. Proc. Geol. Soc. China 24, 137-140. Lo, C.H. (1981) Mineral chemistry and polymetamorphism in some gneissic bodies, the Hoping-Chipan area, Hualien, Eastern Taiwan. M.Sc. thesis, National Taiwan University, 127p. Lo, C.H. and Wang Lee, C. (1981) Mineral chemistry in some gneissic bodies, the Hoping- Chipan area, Hualien, Eastern Taiwan. Proc. Geol. Soc. China 24, 40-55. Wang Lee, C., Wang, Y., Yen, T.P. and Lo, C.H. (1982) Polymetamorphism in some gneiss bodies, Hoping-Chipan area, Hualien, Eastern Taiwan. Acta Geol. Taiwanica 21, 122-139. Lo, C.H., Wang Lee, C. and Yui, T.F. (1984) Olivine and chrome spinel in the ultramafic rocks from Fengtien area. Acta Geol. Taiwanica 22, 131-140. Lo, C.H. and Huang, C.K. (1985) Nephrites with dragon-patterns from the Hsilin area, Eastern Taiwan. Acta Geol. Taiwanica 23, 111-126. Wang Lee, C., Chen, J.C., Wang, Y., Yui, T.F., Lu, C.Y. and Lo, C.H. (1985) Relics of ancient oceanic crust in the Changchun Formation of Eastern Taiwan. Proc. Geol. Soc. China 28, 10-22. Lo, C.H., Yui, T.F. and Wang Lee, C. (1986) First occurrence of tirodite in Taiwan. Proc. Geol. Soc. China 29, 80-86. Yui, T.F., Lo, C.H., Lan, C.Y. and Wang Lee, C. (1987) Nephrite/rodingite from Nanao area, Eastern Taiwan. Proc. Geol. Soc. China 30, 22-39. Lo, C.H. (1988) Chloritization of biotite in the granitic rocks of eastern Taiwan and its implications for isotope geochronology. Acta Geologica Taiwanica 26, 291-315. Yui, T. F., Lu, C. Y., Lo, C.H. (1988) A speculative tectonic history of the Tananao Schist of Taiwan. Proc. Geol. Soc. China 31, 7-18. Yui, T. F. and Lo, C.H. (1989) High-pressure metamorphosed ophiolitic rocks from the Wangjung area, Taiwan. Proc. Geol. Soc. China 32, 47-62. Yui, T.F., Lo, C.H. and Wang Lee, C. (1989) Mineralogy and petrology of metamorphosed manganese-rich rocks at Santzanchi area, Eastern Taiwan. Neues Jahrbuch Miner. Abh. 160, 249-268. Yui, T.F., Lu, C.Y., and Lo, C.H. (1991) Tectonic evolution of the Tananao Schist Complex of Taiwan: Tectonics of Circum-Pacific Continental Margins (Jean Aubouin and Jacques Bourgois; editors), Proceedings of the 28th International Geology Congress; Bookcraft Ltd., Great Britain, pp.193-209. Yui, T.F., Lo, C.H., Lan, C.Y. and Wang Lee, C.M. (1993) Petrology of metabasite and associated garnet-bearing schist in the Sinkang area, New Central Cross-Mountain Road, Taiwan. Jour. Geol. Soc. China 36, 67-90. Yui, T.F., Wu, T.W., Wang Y.-S., Lo, C.-H. and Lu, C.-Y. (1994) Chemical changes along metamorphosed weathering profiles from basaltic rocks of the Tananao Metamorphic Complex, Taiwan. Chemical. Geology 118, 185-202. Lo, C.H. and Yui, T.F. (1996) 40Ar/39Ar dating of high-pressure metamorphic rocks in Taiwan. Jour. Geol. Soc. China 39, 13-30. Wang, P.L., Lin, L.H. and Lo, C.H. (1998) 40Ar/39Ar dating of mylonitization in the Tananao Schist, Eastern Taiwan. Jour. Geol. Soc. China 41, 159-184. Chen, Y.-G., Chen, W.-S., Lee, J.-C., Lee, Y.-H., Lee, C.-T., Chang, H.-C. and Lo, C.-H. (2001) Surface Rupture of 1999 Chi-Chi Earthquake Yields Insights on Active Tectonics of Central Taiwan. Bull. Soc. Seismol. Amer. 91, 977-985. Chen, W. S., Huang, B.S., Chen, Y.G., Lee, Y.H., Yang, C.N., Lo, C.H., Chang, H.C., Sung, Q.C., Huang, N.W., Lin, C.C., Sung, S.H., and Lee, K.J. (2001) Chi-Chi Earthquake, 1999 September 21: A case study on the role of thrust-ramp structures for generating earthquakes. Bull. Soc. Seismol. Amer. 91, 986-994. Yui, T.F. 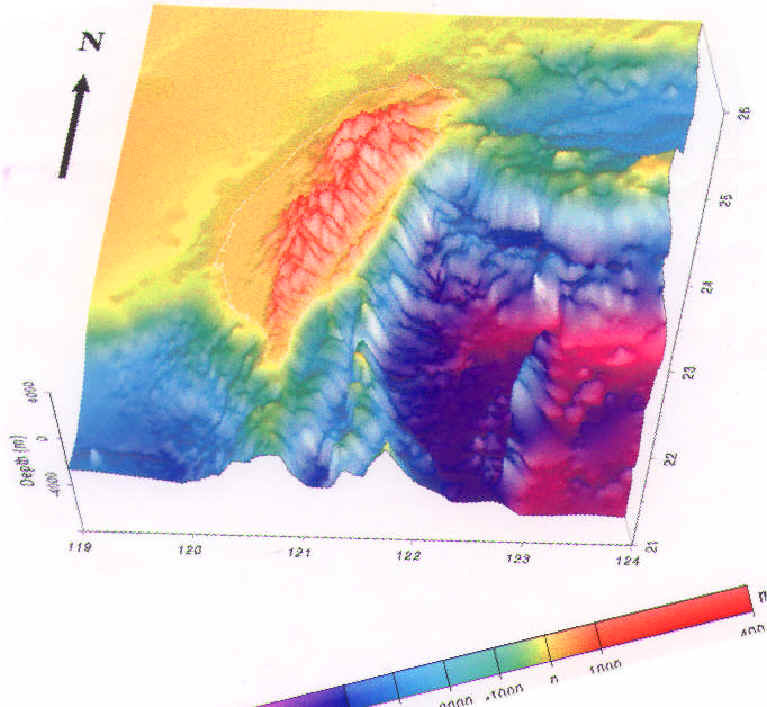 and Lo, C.-H. (2002) Pre-Tertiary tectonic evolution of Taiwan. Special publication. In “Tectonics of Taiwan” (ed. by Huang, C.-Y. ), published by Geological Scoiety of China and Goephysics Society of China, pp. 167-196. (in Chinese). Lo, C.-H., Chen, W.-S. and Song, S.-R. (2002) Cold basin in Coastal Range, Eastern Taiwan: inferred from argon retention in zeolite and altered glass during burial heating. Western Pacific Earth Sciences 2, 221-236. Chen, YG, Mueller, K and Lo, CH (2007) Earthquake geology and hazards in Taiwan – Preface. JOURNAL OF ASIAN EARTH SCIENCES, 31 (3): 195-196 NOV 15 2007. DOI: 10.1016/j.jseaes.2006.07.022. Hou, C.-S., Hu, J.-C., Ching, K.-E., Chen, Y.-G., Chen, C.-L., Cheng, L.-W., Tang, C.-L., Huang, S.-H. and Lo, C.-H. (2009) The crustal deformation of the Ilan Plain acted as a westernmost extension of the Okinawa Trough. Tectonophysics 466, 344-355. Tsai, Y.-W., Song, S.-R., Chen, H.-F., Li, S.-F., Lo, C.-H., Lo, W. and Tsao, S.-J. (2010) Volcanic Stratigraphy and Potential Hazards of the Chihsingshan Volcano Subgroup in the Tatun Volcano Group, Northern Taiwan. Terr. Atmos. Ocean. Sci. 21, 587-598. Wang, K.-L., Y-M Lo, S.-L. Chung, S.K. Hsu, C.-H. Lo, H.-J. Yang, R. Shinjo, (2012) Age and geochemical features of dredged basalts from offshore SW Taiwan: magmatism associated with South China Sea spreading. Terr. Atom. Ocean. 23, 657-669. Wang, K.-L., S.-L. Chung, Y-M, Lo, C.-H., Lo, H.-J. Yang, R. Shinjo, T.-Y. Lee (2012) Age and geochemical characteristics of Paleogene basalts drilled from western Taiwan: Records of initial rifting at the southeastern Eurasian continental margin. Lithos 155, 426-441.